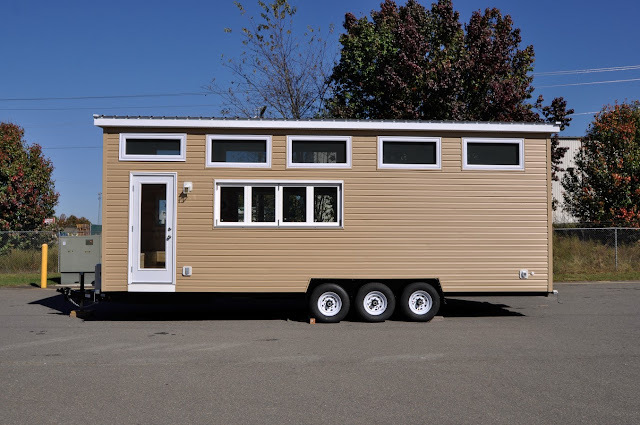 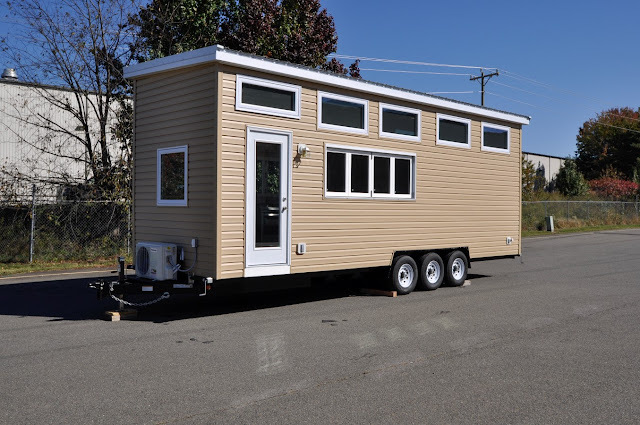 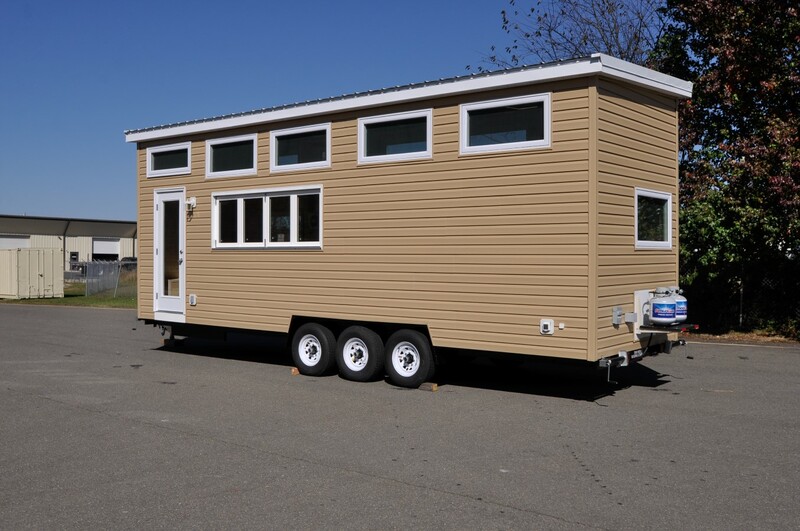 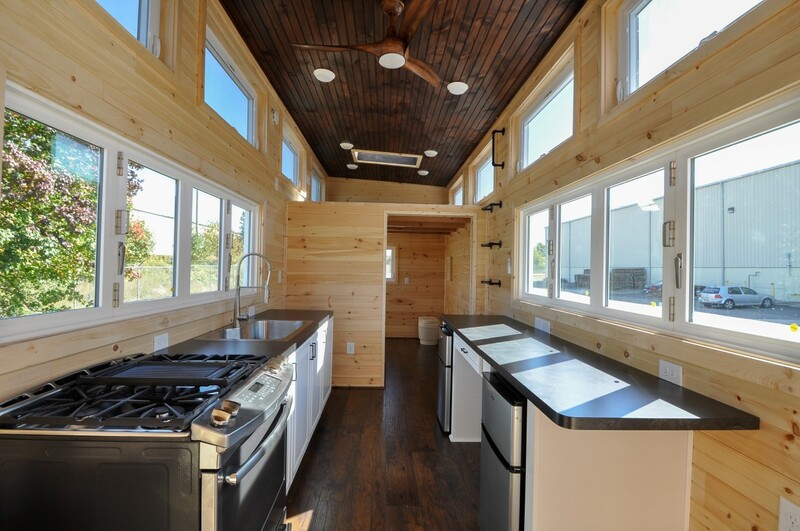 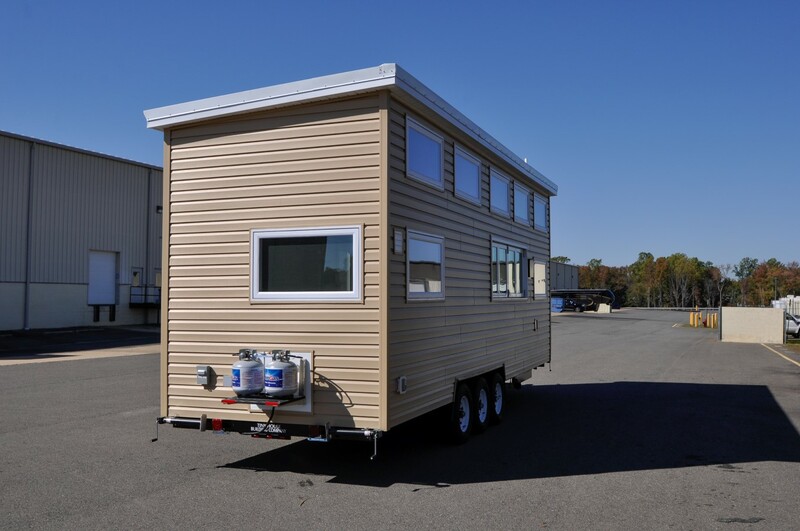 A beautiful custom tiny house from Tiny House Building Company! 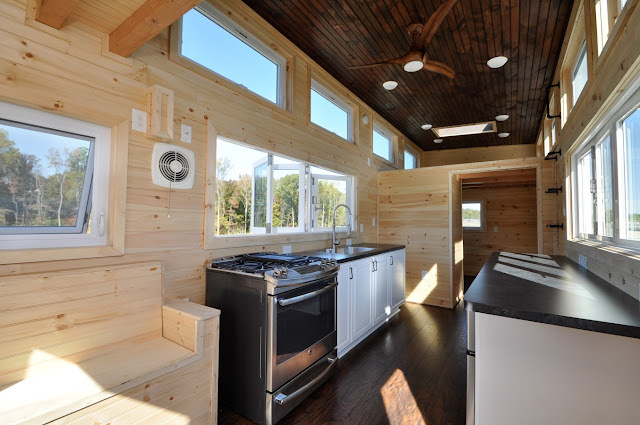 Named the "Hillside" the home is designed with the outdoor enthusist in mind. 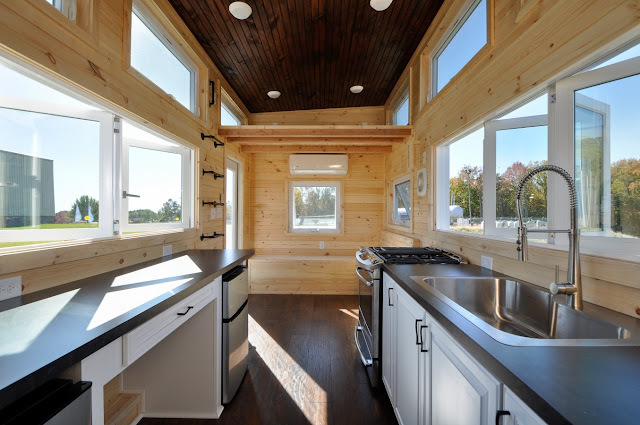 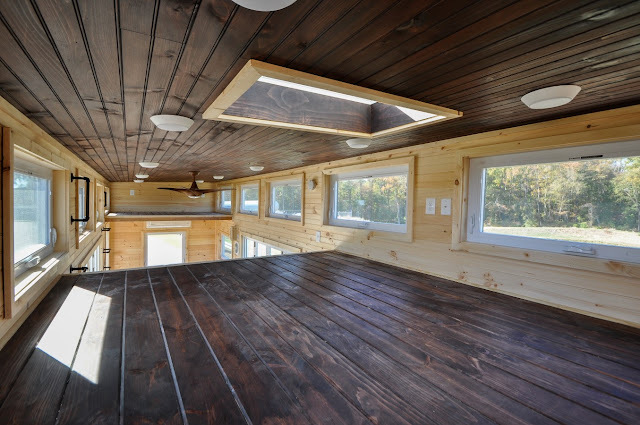 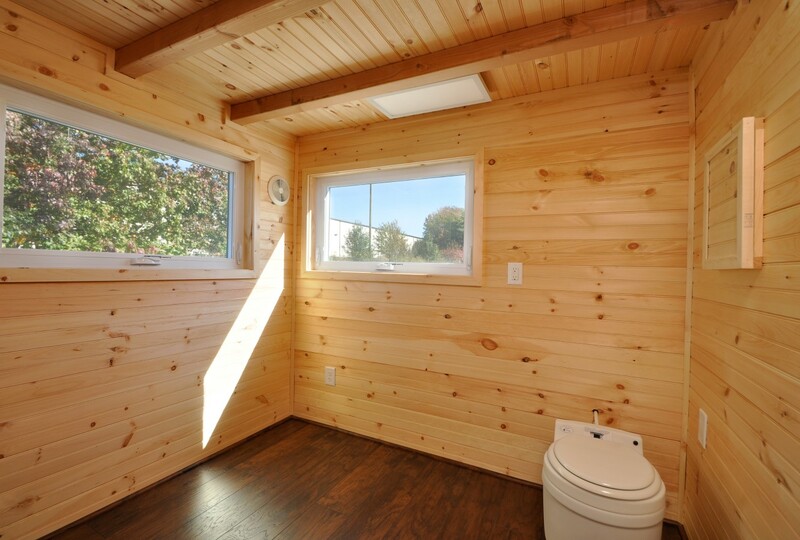 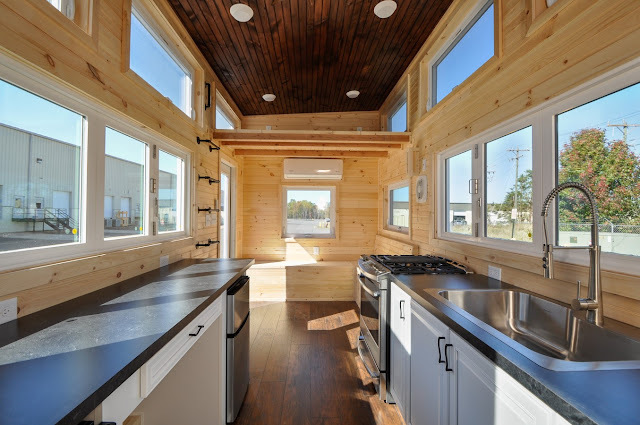 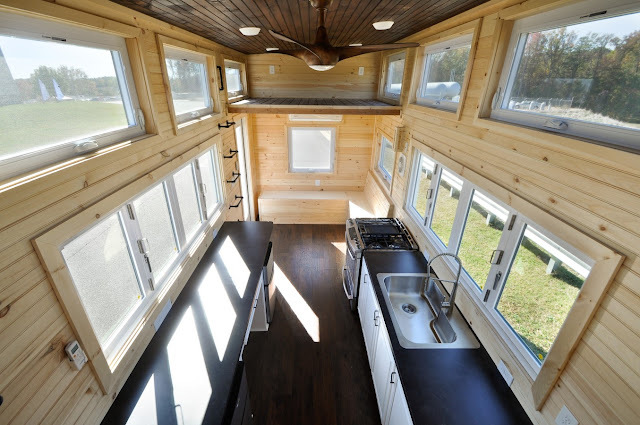 Its 336-sq-ft wood interior is ideal for those of you who enjoy a rusitc/cabin look. There's also a double acordion-style window that opens up the home for fresh air, sunshine, and views of the outdoors! 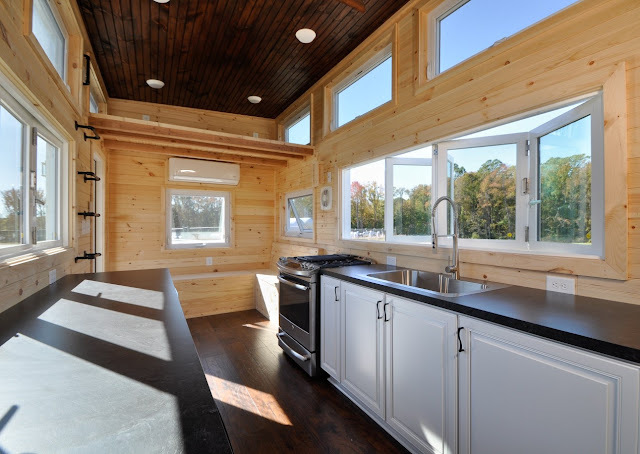 The home's gourmet kitchen features custom cabnets with easy-close drawers, double refrigerators, a large propane stove with an oven and accessory griddle, and a large sink with a specialty faucet. 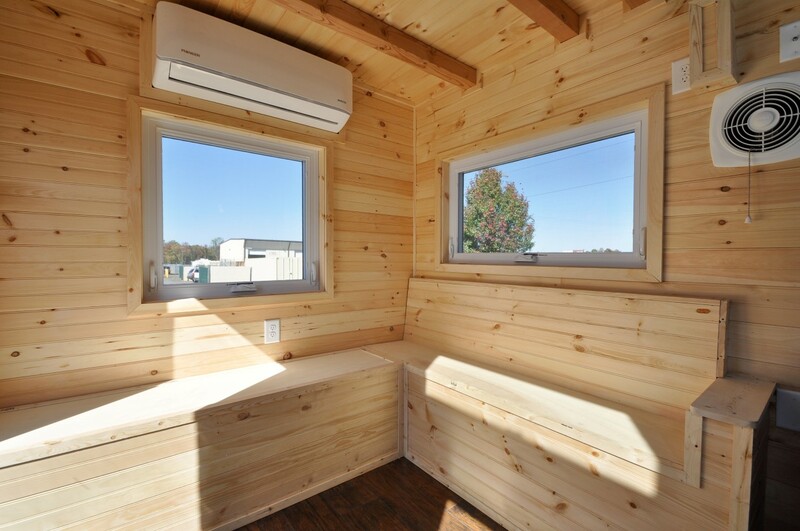 There's also a desk spot in the counterspace! 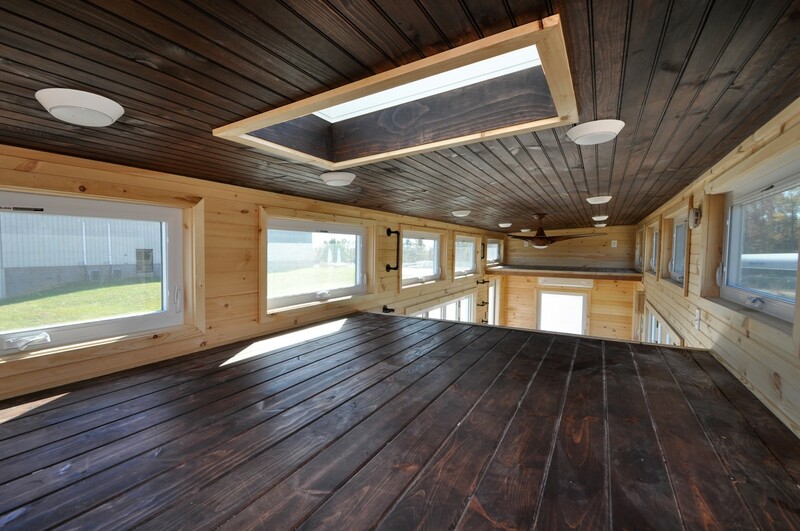 Also included is a built-in seating area with a movable bench that allows the space to become a sofa/daybed as needed! Upstairs, the Hillside includes a king-sized loft bedroom with a skylight, and a second twin-sized loft that's ideal for guests or storage. 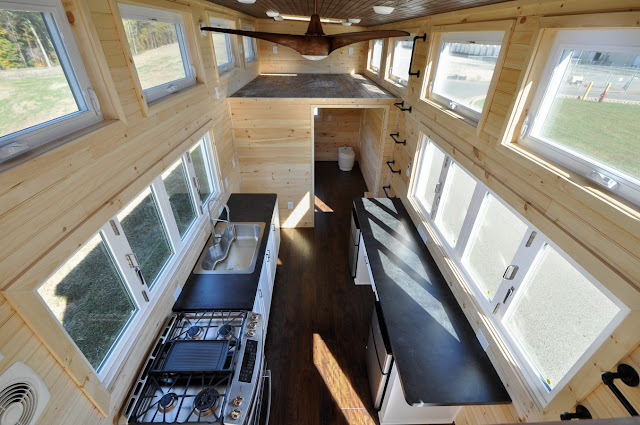 Both lofts are accessible by wall-mounted pipe ladders! 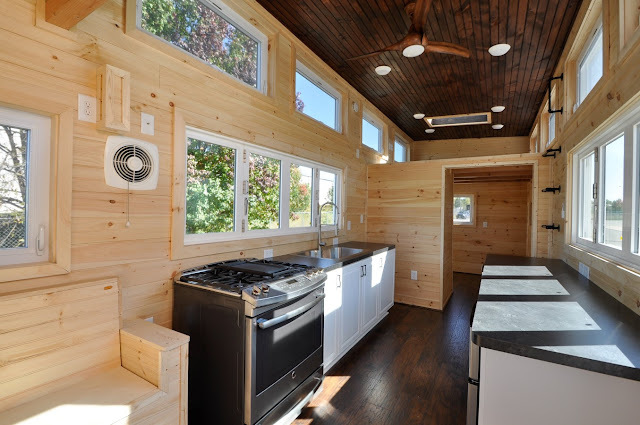 The price for the Hillside, as pictured and unfurnished, is $94,900.